The term “suffragette” is particularly associated with activists in the British WSPU, led by the Emmeline and Christabel Pankhurst, who were influenced by Russian methods of protest such as hunger strikes. Other tactics employed by members of the WSPU included; chaining themselves to railings to provoke an arrest, pouring harsh chemicals into mailboxes, breaking windows at prestige buildings and night-time arson at unoccupied buildings. Many suffragettes were imprisoned in Holloway Prison in London, and were force-fed after going on hunger strike. On 18 November 1910, for instance, a date which became known as Black Friday, Emmeline Pankhurst led 300 women to the House of Commons in a peaceful protest. There, they were met by police, and reported being beaten and sexually assaulted. One woman, quoted in Marlow’s anthology, said: “Constables and plain-clothes men who were in the crowd passed their arms round me from the back and clutched hold of my breasts in as public a manner as possible, and men in the crowd followed their example … My skirt was lifted up as high as possible, and the constable attempted to lift me off the ground by raising his knee. This he could not do, so he threw me into the crowd and incited the men to treat me as he wished.” She later had to seek medical attention for the bruising on her chest. 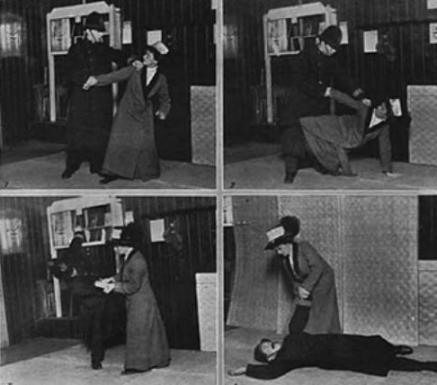 The arrests and beatings continued, and so the Pankhurst sisters and other suffragettes were in need of bodyguards, who were trained by Edith Margaret Garrud, the first recorded female martial arts instructor in the West. 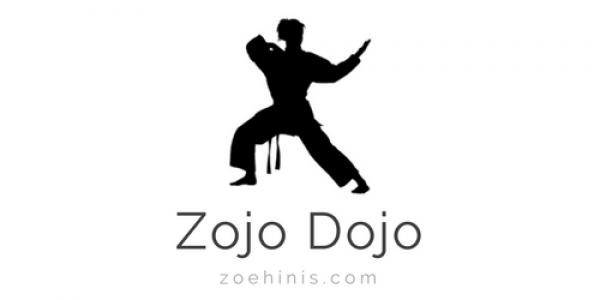 She set up a number of secret locations for the bodyguard unit to train in the art of ju-jitsu (with the help of her husband) and the use of Indian clubs. The clubs could be hidden within the folds of a dress, and made for excellent tools of self-defence. These women would go on to protect the Pankhurst sisters as well as high-risk members of the WSPU from attacks by the police, often sending them on their way or at least creating enough distraction for the Pankhurst family to escape and protest another day. The Bodyguard worked until 1914, when the WSPU halted all militant action at the onset of the first World War. Finally, in 1918 the vote was secured for women over 30 with minimum property requirements, granting more than 8 million women the vote immediately. In 1929 was extended to all women over 21, ensuring universal suffrage in England. That’s less than a century ago, in a country that claimed (and continues to claim) to be one of the most enlightened and civilised in the world. 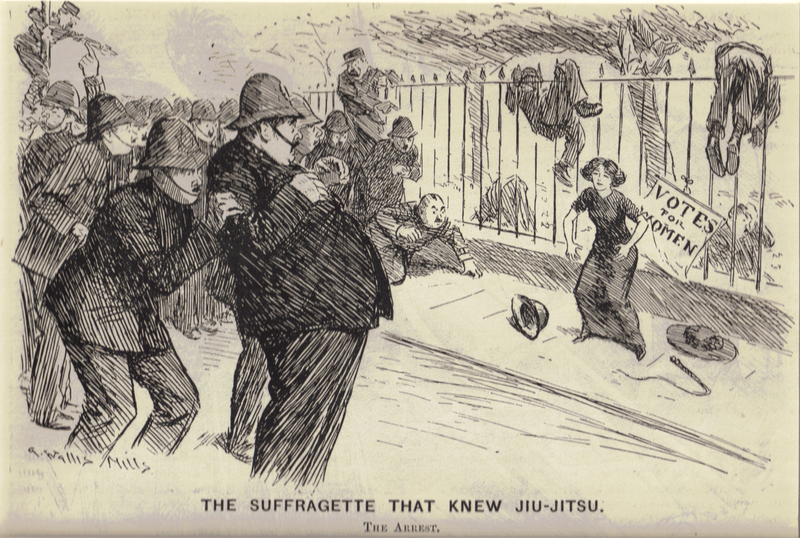 It is a somewhat unknown bit of feminist and female martial arts history that I do love to share. Some of the stories are frightening – these women would wear thick cardboard under their dresses so that their ribs wouldn’t get broken from police truncheons. Considering continued police violence all over the world, it is sad that women must still defend themselves in such a way. There isn’t really enough space here to delve into the complexity of the British suffragette movement and all its interesting folks and tactics, but nonetheless I hope this serves as a fascinating look at the Bodyguard and the women who refused to be ignored.